The winter warmer social event took place on 19th Nov 2013. Read a report here. Food by Secret Kitchen Cafe, live music from SEND musicians Lance and Kuldeep... Find out about Alchemy projects such as the Neighbourhood Plan, TRACs Centre and Community Organisers.... have a chat with friends and neighbours... 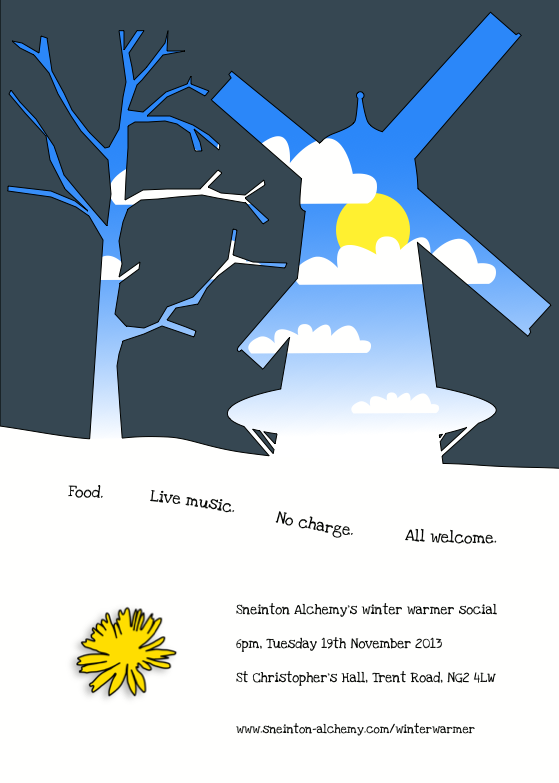 The Winter Warmer at 6-8pm Tues 19th November at St Christopher's Hall, Trent Road, Sneinton.